In its latest release of US government documents, WikiLeaks has accused the National Security Agency of tracking its members and followers. WikiLeaks founder Julian Assange has called the NSA’s espionage program “reckless and illegal” and has demanded Washington open an investigation into the claims. The NSA went to great lengths in an attempt to justify its surveillance. According to 2011 documents leaked by Edward Snowden to The Intercept, the agency was considering classifying WikiLeaks as a“malicious foreign actor” which would have given the NSA more extensive surveillance powers. Moreover, Julian Assange was put on a so-called “manhunting” target list along with suspected Al-Qaeda terrorists. The documents also note that the NSA considered classifying the torrent website Pirate Bay as a“malicious foreign actor.” The documents are inconclusive as to whether the site was finally classified as such, but classification would have meant the NSA gathered information on anyone - including American citizens - communicating with the organization for any reason. The documents show the UK’s spy agency, the GCHQ played a significant role in monitoring the visitors to the WikiLeaks site. A leaked PowerPoint presentation details a program - created by Britain’s GCHQ and distributed amongst the Five Eyes in 2012 - that was especially designed to keep an eye on the site’s visitors. As part of the program - dubbed “Anti-crisis girl” in the documents – the GCHQ hauled in massive amounts of data from phone networks, internet cables and satellites. The new revelations prompted immediate reaction from Julian Assange who decried both the NSA and the GCHQ for acting with total impunity. WikiLeaks’ lawyer Judge Baltasar Garzon is now preparing an appropriate response to the new information and the organization has pledged that those responsible will be brought to justice. Garzon said the new documents are a testament to the fact the repression facing WikiLeaks is still very much alive. 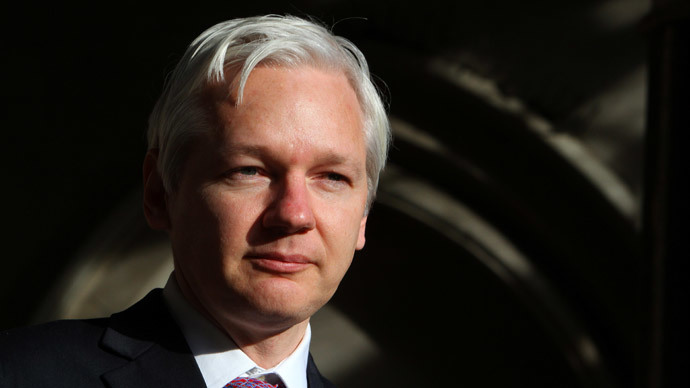 “The paradox is that Julian Assange and the WikiLeaks organization are being treated as a threat instead of what they are: a journalist and a media organization that are exercising their fundamental right to receive and impart information in its original form, free from omission and censorship, free from partisan interests, free from economic or political pressure,” he told the Intercept. Both the NSA and the GCHQ have so far refrained on commenting on the new claims from WikiLeaks.